A spate of below-par results has raised concerns about the form of PV Sindhu. Is there reason to worry? 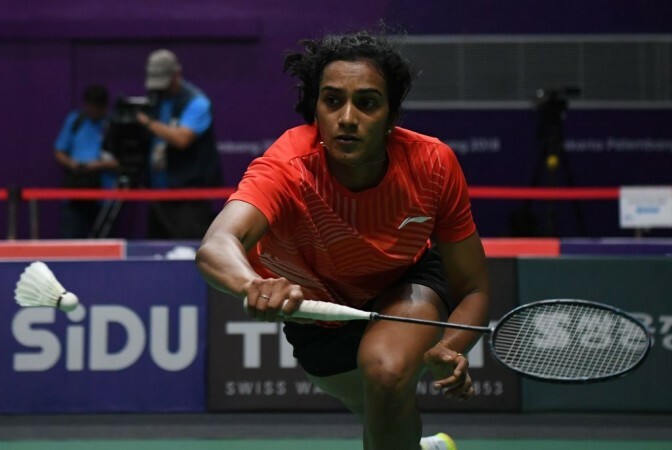 Last year in December, when Pusarla Venkata Sindhu broke the jinx of losing finals and became BWF World Tour champion, it seemed she is all set to reach even greater heights of success. Alas, exactly the opposite seems to be happening. The year 2019 is turning out to be annus horribilis for the Olympic silver medallist. The results she has produced this year would illustrate the point. What makes it worse is the devastating nature of her defeat in the last match. Sindhu succumbed to Okuhara in straight games 21-7, 21-11. This too, after she had an easy draw and hadn't faced a top player in the tournament till now. It's not just the results but the manner of her losses that are troubling. She has often looked out of ideas on the court and when things start going wrong, incapable of fighting back. The complete surrender to Okuhara in Singapore continues a disturbing trend. Some weeks ago, Sindhu went back to her coach Pullela Gopichand's famed academy for fine-tuning her game. Is she in the process of changing her game and not yet comfortable with the new style? Could the punishing schedule be taking a toll on her body? After last year's World Tour Finals, she has had to play in PBL before the start of the season, therefore not having some extra days rest. However, the workload has been equally great on all top players. If one looks at the trajectory of Sindhu's career, she does seem to reserve her best for big tournaments. Her record in World Championships and World Tour Finals is exemplary and she won silver in Asian games also. But in 2017, she had victories in many Super Series (now World Tour) events also including India Open. However, last year, the tall shuttler didn't win any World Tour title before the Finals in December. Does this indicate a lack of motivation in events which don't have top billing? Veteran commentator Gillian Clarke – the unofficial voice of badminton – expressed a different opinion while commentating on her loss to Sung Ji Hyun in Malaysia. She talked about Sindhu's recent high-profile appearances off the court – flying a fighter aircraft and taking part in a fashion show – and said that, in her view, Sindhu needs to get her focus back on badminton. She repeated similar views during her loss to Okuhara. This kind of criticism is usually voiced by cricket fans in India when a prominent cricketer is failing. But Clarke is neither an Indian nor an unreasonable fan. She is a former player and someone who is closer to the action than most. But let's not despair too much. As we have seen, the two-time World Championship silver-medallist has an uncanny ability to play at her best in big tournaments. Maybe the Asian Championships later this month will see her return to form (if she participates) or maybe, it will be the World Championships in August. If she does well in this latter event, nobody would remember her failures so far.